Receiving a watch endorsement is one of the many privileges of being a celebrity. Whatever the brand may be, seeing a Hollywood star sporting a fine men’s watch can catapult the name to new heights of success, and with celebrity culture dominating the media, it’s hardly surprising why. Luxury watch brands often pay celebrities millions of dollars to simply endorse their timepiece. Awards shows such as the Oscars are seen by millions of people around the world, and with paparazzi snapping photos at every chance they get, the level of exposure can be phenomenal. Here we take a look at some of today’s most well-known celebrity watch ambassadors. Daniel Craig is one of the most recognizable faces in the world. Star of the three most recent James Bond movies, he is often seen in Omega ad campaigns wearing an Omega Seamaster Planet Ocean. The watch he wore in Skyfall recently sold at an auction for over $250,000. Troubled womanizer Don Draper is probably the best-dressed man on television. In real life, actor Jon Hamm is equally regarded for his sense of fashion. When playing the adman, Hamm is regularly seen sporting a Jaeger LeCoultre Reverso. 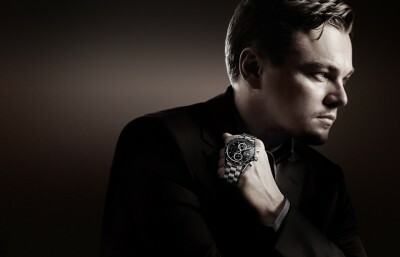 Leonrdo DiCaprio is a TAG Heuer ambassador. In addition to featuring in their ad campaigns, he’s often seen wearing his favourite brand at award ceremonies and other public events. Most recently he was spotted wearing a TAG Heuer Aquaracer at the premiere of The Great Gatsby in New York City. Golfer Rory Mcllroy – who is very outspoken against his refusal to receive endorsements – wasn’t immune to Omega’s ambassador deal; however, he’s publicly stated that he won’t be wearing the logo on any of his gear. Omega has made quite a few steps in recent years to expand into golf and even the current president of the brand Stephen Urquhart, is a regular on the course himself. George Clooney is the third celebrity on this list to be endorsed by Omega, but he’s only one of thirteen ambassadors for the brand. Others include Nicole Kidman and Cindy Crawford. Clooney has been a fan of the brand since 1969 – when Apollo 11 landed on the moon. X-files and Californication star David Duchovny has been a long-term ambassador for Baume & Mercier. While it’s currently unknown whether or not he is currently attached to the brand, his ad campaigns have been used to support charitable causes for many years. After partnering with the Los Angeles Lakers, Hublot partnered with Kobe Bryant and unveiled the King Power Black Mamba – Bryant’s nickname. The watch costs $25,200, but part of the proceeds goes towards the Kobe and Vanessa Bryant Foundation. Contrary to popular belief some celebrities actually don’t receive any money for their endorsement. Of those featured on this list Leonardo DiCaprio, Kobe Bryant and David Duchovny volunteered their image in return for the brand to support charities and causes that are close to them. Image courtesy of TAG Heuer.